Where do you want to take your lodge or park holiday? The idea of this page is to help you find a holiday park or lodge break near a town which you specify. If you've got a set idea on where you want to take your holiday, but aren't really sure what's in the area; this is the place for you. Suppose, for example, you want to spend a few days near the east coast town of Lowestoft, but don't know which holiday parks and lodges are nearby. 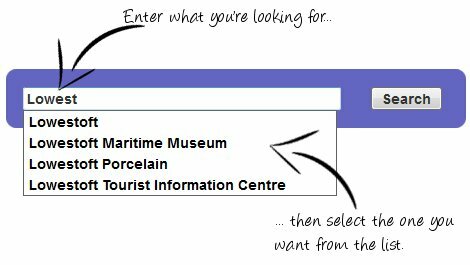 Well, just type in Lowestoft to the search box above and click on search; that should give you a good selection of parks to choose from. It may not be a town you're looking to take your holiday near, but an attraction you (or your children) are keen on visiting during your holiday. The good news is that this will work too. Just type in the name of the attraction you're keen on visiting: so for example, say you're keen on visiting the Eden Project down in Cornwall. Type in Eden Project (or, to be precise, type in eden p) and select the option in the list. All parks and lodges near the Eden Project will be shown.